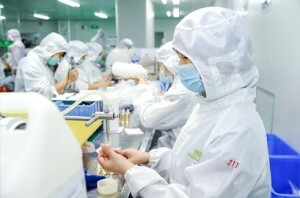 New products are developed and improved by the team of experienced scientific workers. Special zone is allocated for running organoleptic tests for additional quality control purposes and identifying any potential problems that may not be identified by other equipment. 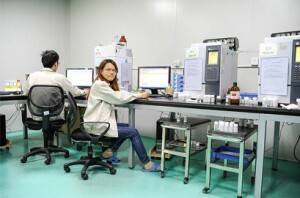 All company products are thoroughly and strictly tested in the laboratory. 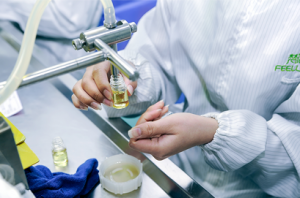 Our own laboratory allows product quality monitoring on every stage of production. 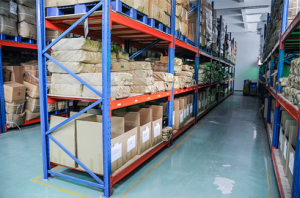 Each product batch manufactured by us has its unique number and is stored in a specialized room for 2 years. We use multistage product quality control and monitor all product characteristics during every stage of production. 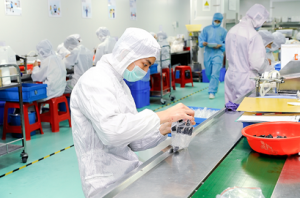 All product development team members complete special training before starting to work and the laboratory management and personnel complete special education. 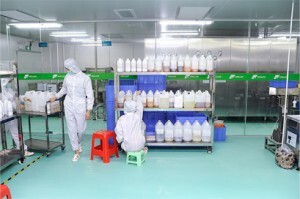 All company employees obey certain rules to maintain constant cleanliness at the production facility. The high level of cleanliness during the whole production process is achieved with the help of the special cleaning systems and cleaning personnel. 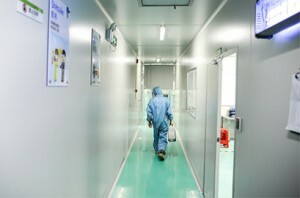 Clean air is one of the main factors of production sterility. Conditioning and dust cleaning systems provide clinical sterility corresponding to international quality standards. 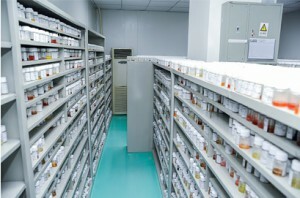 All manufacturing rooms are divided into separate zones with different access levels according to GMP. This approach allows achieving increased security and sterility at the manufacture. Other workers and visitors are separated from the actual production rooms. 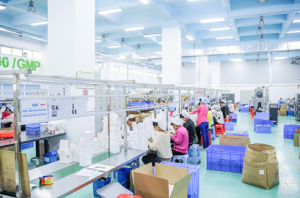 The manufacturing system is highly reliable and all production stages are fully and constantly monitored. 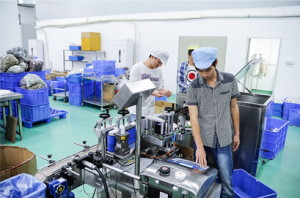 Both automatic and manual bottling systems are used at the production depending on the order volume. Quality is most important for us. Our company uses only high quality and most modern equipment to achieve the necessary quality standards. All components necessary for production are stored at the warehouse and are ready to be delivered to the production line at any moment. Well-coordinated systems in addition to well-elaborated manufacturing processes allow achieving high production speeds.